Wouldn't want to bowl without a Cool Max. Hi Barb. Usually women's sizes will be the extra small to medium sizes. Sometimes the size you wear in gloves is a good guide for what you might wear in a wrist support. does this product have medal in glove to suport wrist ? Unfortunately, this one will only come in black and pink. 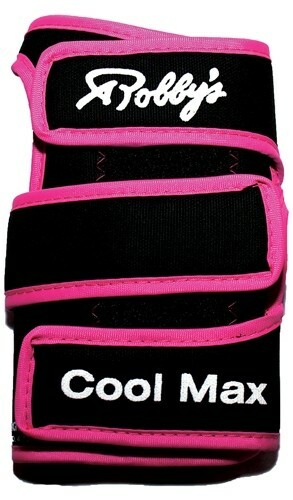 Due to the time it takes to produce the Robbys Cool Max Pink Right Hand ball it will ship in immediately. We cannot ship this ball outside the United States.